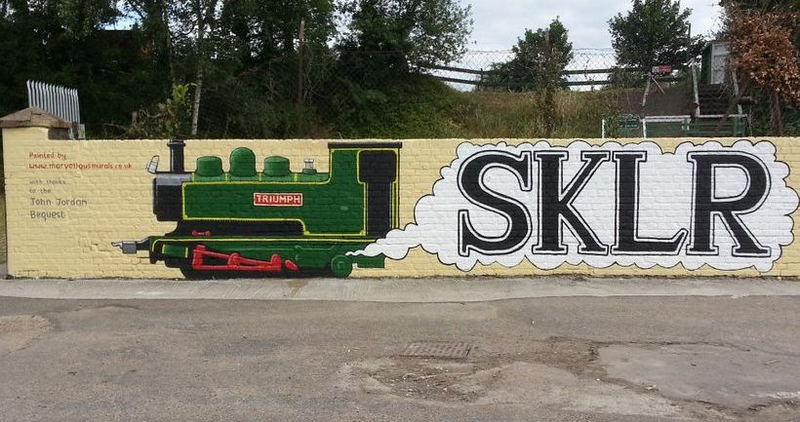 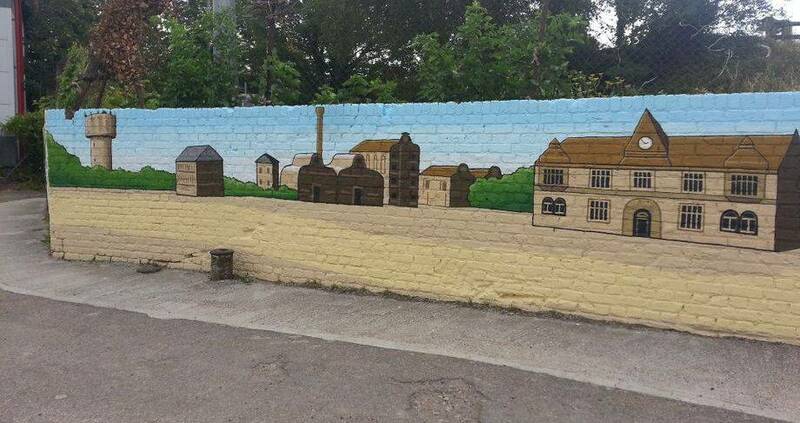 This large mural was painted on the exterior wall of the SKLR - Sittingbourne and Kemsley Light Railway. 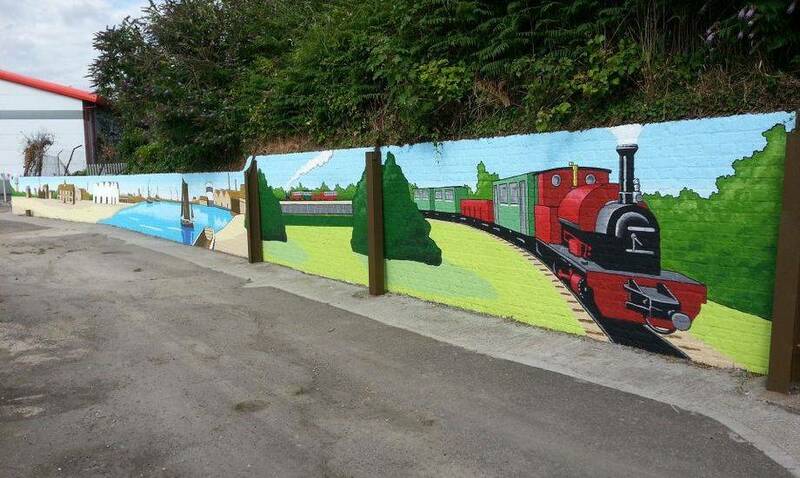 It can be seen from the main road and this will hopefully alert people that the SKLR is there and also where the entrance is, as well as being bright, eye catching and interesting for visitors to look at on their way to and from the railway. 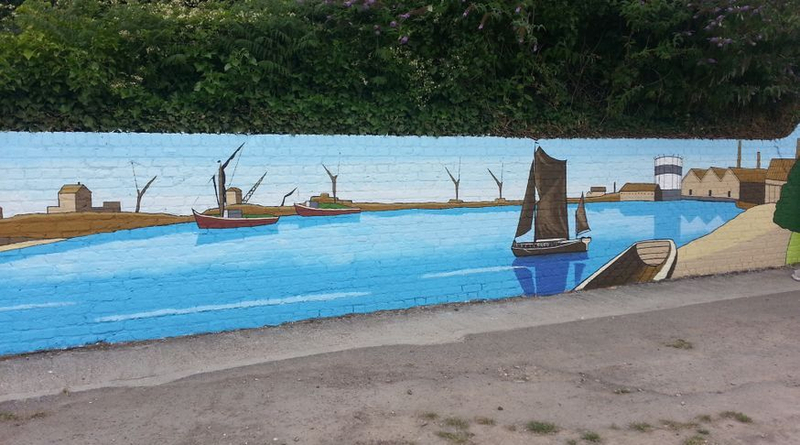 This took us three weeks to complete, which included preparing the wall and varnishing with an anti graffiti varnish at the end.